Lagos, Nigeria (CNN) For more than a quarter of a century, Nigeria’s Special Anti-Robbery Squad (SARS)– has taken the lead on the country’s most serious crimes armed robbery, kidnapping, assault, and murder. Vice President Yemi Osinbajo — deputizingwhile President Muhammadu Buhariwas on a working vacation outside Nigeria — said the decision was made following “persistent complaints” and allegations. Osinbajo, a former law professor, also ordered the country’s National Human Rights Commission to set up a committee to investigate abuse allegations. 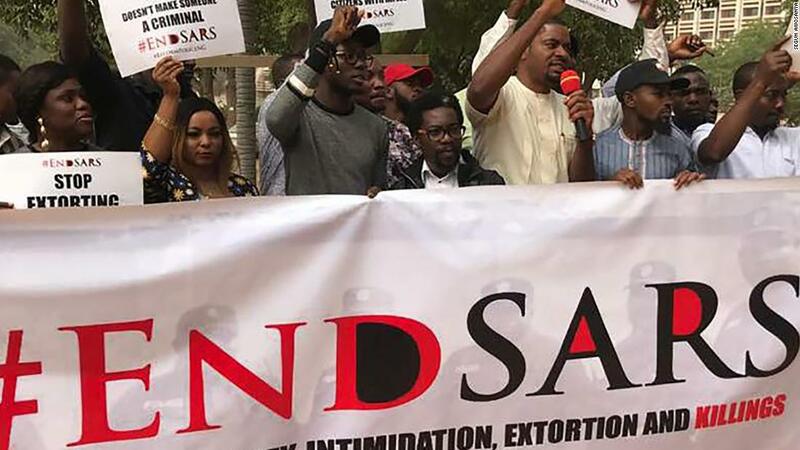 But leading figures from the #EndSARS movement have told CNN that, while they welcome the announcement, they will not stop campaigning until the government sets up an independent complaints commission to address specific cases of misconduct involving law enforcement officers. 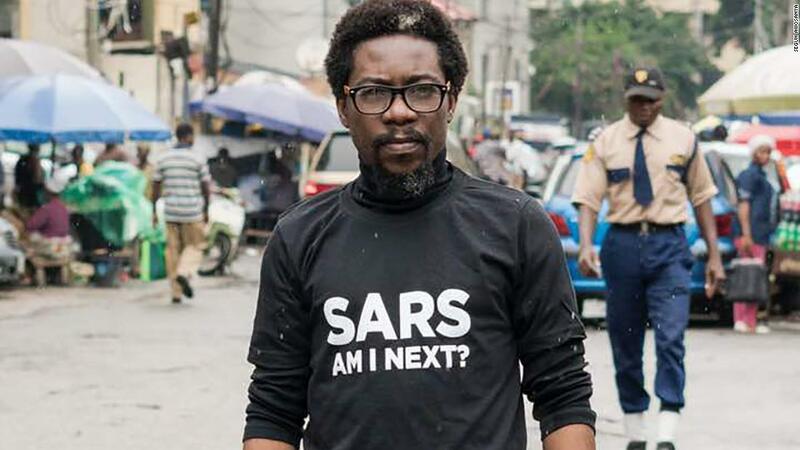 Segun Awosanya, a leading figure in the #EndSARS campaign who, along with other activists, started documenting alleged incidents of police brutality months ago, said an overhaul is not enough, the unit must be disbanded. He told CNN the entire police force must be reformed and any SARS officers found guilty of offenses after the inquiry must answer for their crimes. “The position of the people… is not negotiable. We are asking for a shutdown of a demonstrably criminal network within the police structure and a general reform in the police,” Awosanya said. Warnings about the police unit predate Awosanya’s social media campaign. In 2016, an Amnesty International report into SARS accused officers from the unit of torturing detainees in custody and demanding bribes to free them. Former detainees told Amnesty they were starved, beaten, shot and subjected to mock executions by officers from the squad. Amnesty also said it found 130 people detained by SARS in a detention center known as the “Abattoir” — or slaughterhouse — in Abuja, Nigeria’s capital city. The human rights organization accused the Nigerian police of covering up the unit’s crimes, saying in the report that no officers had ever faced trial for torturing suspects, let alone any convictions. Police denied to Amnesty that any torture had taken place. Last month, CNN spoke to an engineering student who covertly documented his experience when he was arrested by SARS officers in June. Daniel Ekanem, 26, told CNN he was arrested on his way to class when men in uniform asked for his identity card and identified themselves as SARS officers. Despite showing his photo ID, Ekanem says one of the men pulled his shirt collar, kicked and shoved him across the street into a van. Ekanem also told CNN that the officers ordered him to contact his family to ask them to bring a minimum of 30,000 naira ($83) to the station to bail him out. The amount is a considerable sum in Nigeria, where about half of the population lives on less than $1.90 a day, according to figures from the World Poverty Clock. In a Twitter post, he said men were being punched and slapped by officers in his overcrowded police cell. He also posted a photo of a man he said was beaten over the head with a plank. 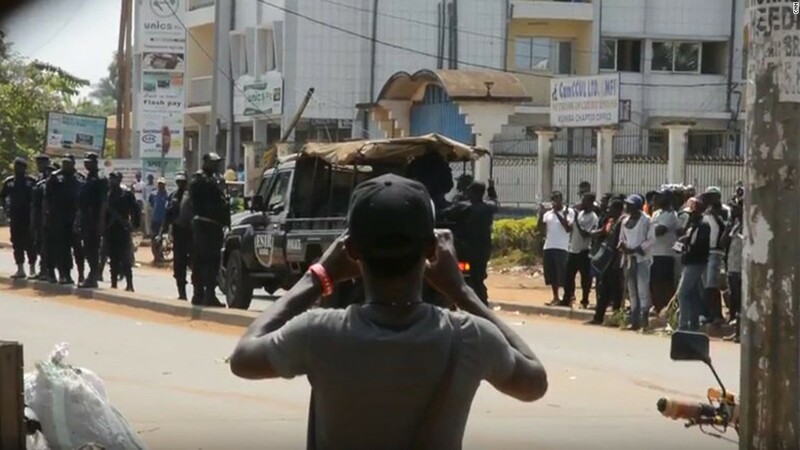 The student says he feared for his life as he watched the men being “beaten mercilessly” by the officers in Ikot Ekpene, Akwa Ibom, in southeast Nigeria. “I and over 11 others have been taken hostage by SARS accusing us of being cultists,” he wrote during a series of frantic tweets from the cell. 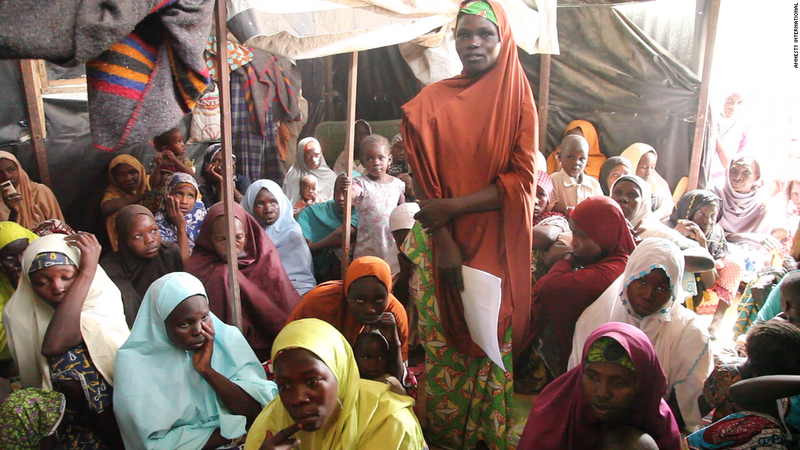 Ekanem posted photos along with a plea for help from his hundreds of Twitter followers. Activists then sent a lawyer to the police station where he was being held to secure his release. Ekanem told CNN he was freed without charge. A spokesman for Akwa Ibom police confirmed to CNN that the SARS unit had carried out mass arrests in Ekanem’s neighborhood. He said they were investigating an incident in the area. He denied that money was collected from any of those arrested and added that the highest authorities in the Nigerian police are investigating Ekanem’s claims of brutality. 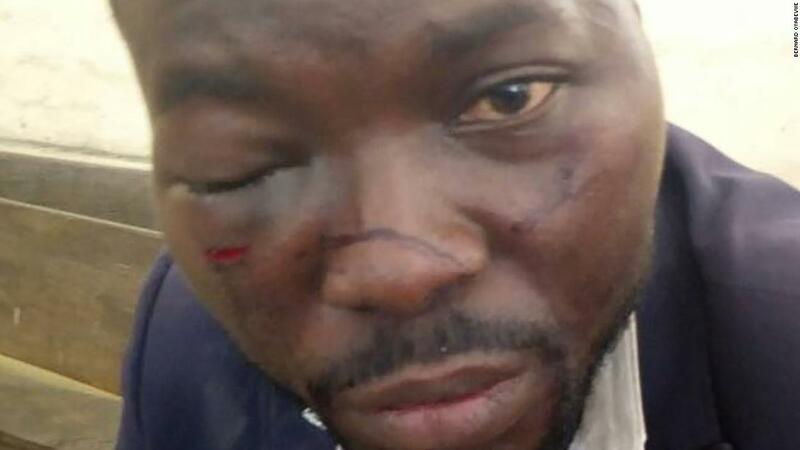 In a separate case, lawyer Bernard Oyabevwe, 33, told CNN he was attacked by SARS officers when he questioned a client’s arrest at a police station in Delta State, in the south of the country. Oyabevwe said he was dragged on the floor and beaten until blood began gushing from his mouth. Photos of the battered lawyer went viral on social media renewing public anger against police brutality in the country. “I was beaten by the police, yet I am now being charged to court to defend myself while I am still suffering the injuries I sustained from the assault,” Oyabevwe told CNN last month. A Delta State police spokesman told CNN the lawyer’s conduct was not appropriate and the case would have to make its way through the courts. Following the interim president’s announcement to overhaul the SARS unit on Tuesday, police spokesman Jimoh Moshood said the force was developing new guidelines for SARS operatives. He said the force has set up an independent panel comprised of human rights activists, senior police officers, and civil societies to regularly address policing activities under the new arrangement. Awosanya said he and other activists would be closely monitoring to ensure the guidelines are adhered to. “The campaign against police brutality continues and we need all Nigerians to continue to be vigilant and share their experiences as we continue to collaborate towards a holistic police reform,” he said.